Sometimes DonQui is quite puzzled by the things humans can get up to. 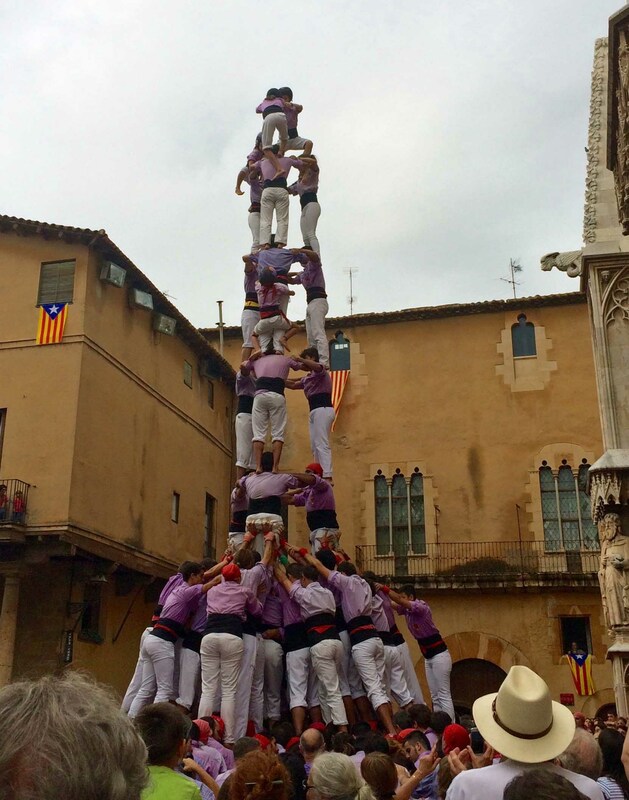 11 September is the Diada Nacional de Catalunya – the Catalonian National Day and DonQui finds himself in Tarragona where the humans like to climb on top of each other whenever they get the chance. He tries to imagine what a tower of Donkeys would look like but then realises that Donkeys would be far too sensible to do such a thing. DonQui is quite envious of the man in the foreground’s straw hat and hopes he will get one soon.